11 most beautiful locations from the tv series Midnight Sun. Do you like the series Midnight Sun and wonder where you can visit some of the beautiful locations seen in the show? This is the list for you. Many of the scenes in Midnight Sun were shot in Björkliden Mountain Village, a ski resort dating back to the 1920s. It’s popular with families and offers a wide range of varied skiing (Sweden’s third highest vertical drop – 538 metres). 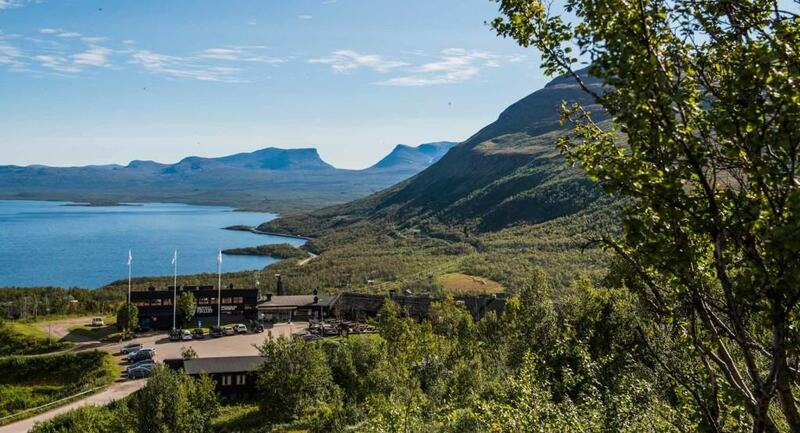 With neighbours like Lake Torneträsk, the Lapponian Gate (also called Lapporten or Tjuonavagge) and some of our highest mountains, Björkliden Mountain Village is located in one of Sweden’s most beautiful spots. In summer it’s a popular starting point for hikers eager to explore what the mountains have to offer: Låktatjåkkå Mountain Station, Kärkevagge and Lake Trollsjön/Rissajaure. An intense scene between the female protagonist and her compatriot unfolds at a table in this very restaurant, with the Lapponian Gate/Tjuonavagge right outside the window. 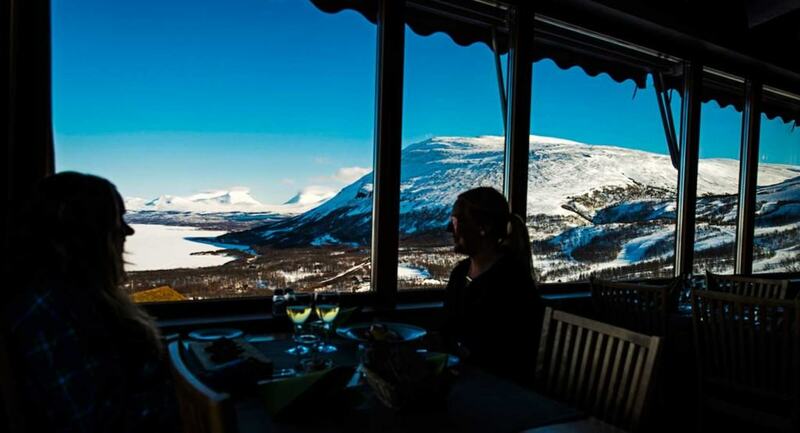 Located in Hotell Fjället in Björkliden Mountain Village, Restaurant Lapporten boasts a 1:1 scale view of the iconic mountain tops. In winter you can enjoy this view together with a three-course à-la-carte menu featuring local produce. Photo: kirunalapland.se. The Silver fall at Rakkasjokk. Silverfallet at Rakkasjokk near Björkliden is a beautiful waterfall by Lake Torneträsk. Initially, a wide path follows the waterfall and you walk through a mountain-birch forest. Mountain birches are a kind of a cross between a tree and a shrub. Be prepared: the path gets narrow as it approaches the beach, and it turns steep. But it’s worth getting the whole way down because that’s where you get the best view of the waterfall and a great view towards the Lapponian Gate/Tjuonavagge. Leïla Bekhtis character in the series lives in a cottage just outside Kiruna. 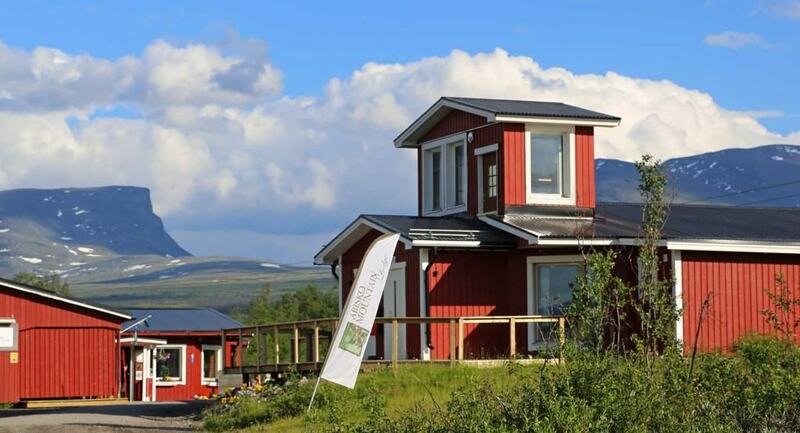 In reality, the cottage is located a stone’s throw from Abisko Mountain Lodge, a little wilderness lodge offering some of the most adventurous experiences in Abisko. Top tours, heli-skiing and ice climbing are some of the more daunting activities – views included. You’ll feel right at home in the relaxed atmosphere and be impressed by the local produce, lovingly prepared and served in the restaurant. Photo: Carl-Johan Utsi. An 'ark' on Lake Torneträsk. Whether you’re in Abisko or Björkliden, you’ll get a good view of the largest mountain lake in Scandinavia: Lake Torneträsk, more than 70 km long. 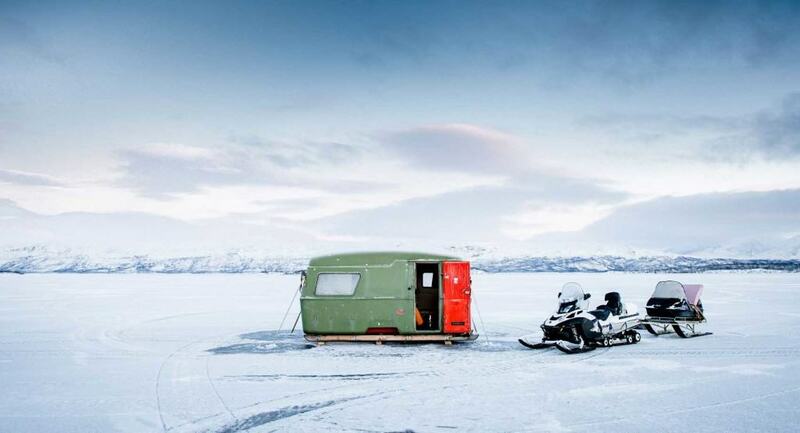 It’s a popular lake for ice fishing, particularly during spring-winter. Many of Kiruna’s inhabitants gather here to ice fish from their ‘arks’ (huts on runners, pulled out onto the frozen lake by snowmobile), enjoying the spring sunshine. Lake Torneträsk is also the source of the Torne River, the border river between Finland and Sweden. It’s 520 km long and reaches the Gulf of Bothnia, in the Baltic Sea. The canyon in Abisko is one of the most beautiful and easy-to-reach viewpoints in the Kiruna mountains. Large parts of the path along the canyon are adapted for people with reduced mobility. 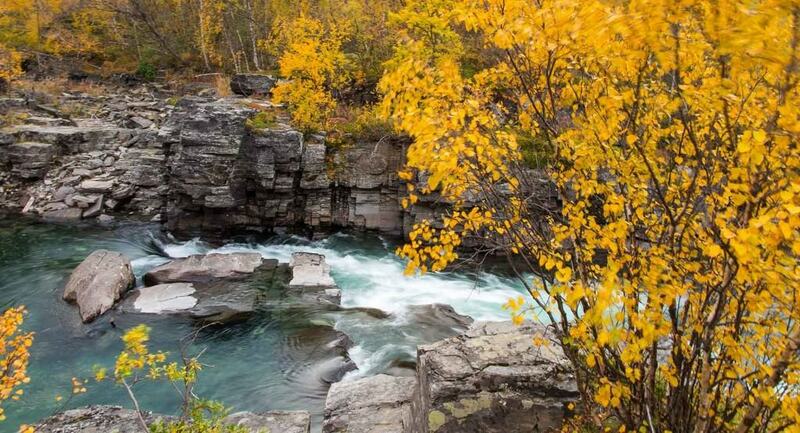 Abisko Canyon is around 20 metres deep with steep rocky walls made up of hard slate and dolomite. At the bottom, the free-flowing mountain stream Abiskojåkka/Ábeskoeatnu runs from Lake Abiskojaure to Lake Torneträsk. 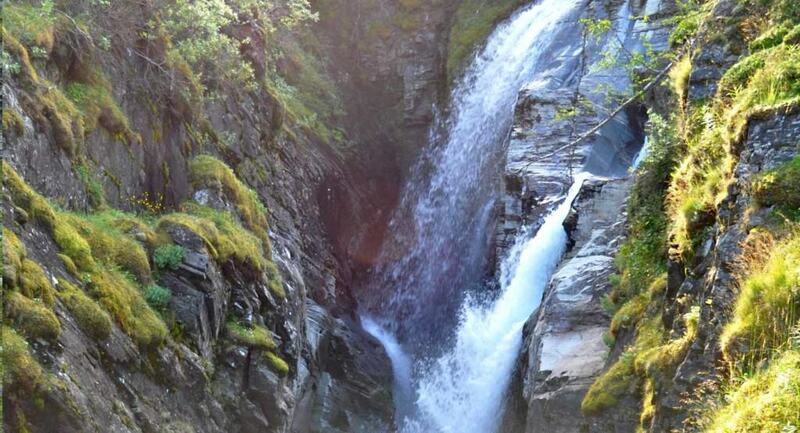 The canyon is a short walking distance from STF Abisko Turiststation. Photo: Carl-Johan Utsi. Nikkaluokta with Mt Tuolpagorni/Duolbagorni in the foreground. Nikkaluokta is at the end of the road. The hiking trails to the Kebnekaise massif and other mountains begin here. Many hikers choose Nikkaluokta as starting point or destination when they hike the King’s Trail. Around 5.6 km west of Nikkaluokta, by Lake Ladtjojaure/Láddjujávri, is where the boat tour up towards Ladtjovagge and Kebnekaise mountain station begins. At the lake there’s a newly-opened restaurant – Enoks – offering local delicacies and a breathtaking view of the surrounding mountain landscape. Photo: Göran Wallin. 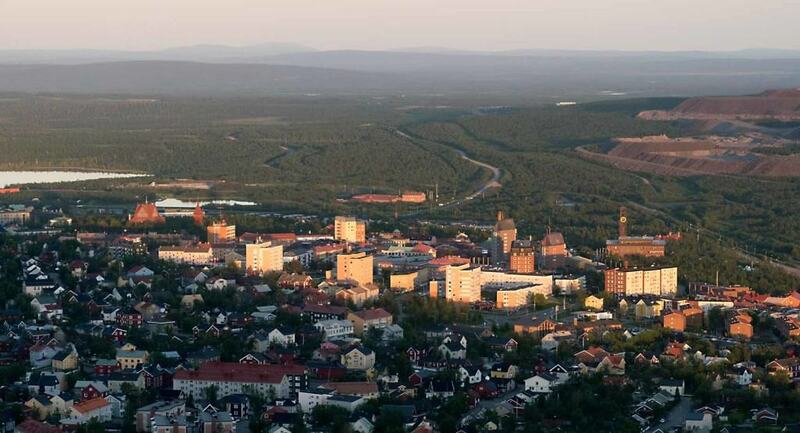 View over Kiruna from Luossavaara. Most of the locations you’ll find in the town itself, such as Café Safari, Bishop’s Arms, the schools Högalidsskolan (the temporary police station) and Raketskolan (office building for KLMC/Kiruna Lapland Mining Company), etc. For the time being… Mining activities in Kiirunavaara is leading to ground subsidence, and these deformations are moving closer to the town itself. So it’s been decided that the town will move about 3 km to the east. You can learn more about the city transformation here. The astute viewer will quickly discover what scenes were recorded inside the Kiruna Church; the dark, tarred interior and the striking altarpiece painted by Prince Eugene are unmistakable. The church was built in 1912 and is painted in classic ‘Falun red’. 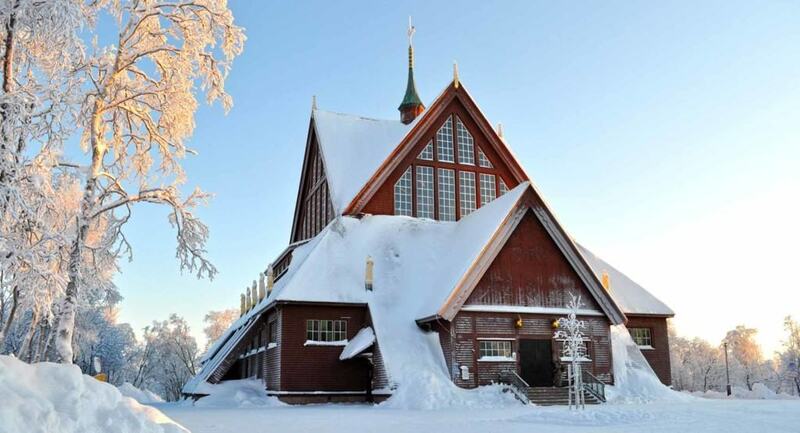 It’s inspired by Norwegian stave churches and Sámi tents, and has been voted Sweden’s most beloved building. It will also be moved. The entire church will be deconstructed piece by piece, then reassembled a couple of kilometres further east. Photo: Fredrik Broman. The first midnight sun rays from Luossavaara. If you want to be the first to meet the midnight light in Kiruna, take the Midnight sun trail (Midnattssolstigen) up to the top of Luossavaara. This mountain near town is one of the inhabitants’ favourite spots. Sports enthusiasts and families alike come here to walk, run and go skiing. You’ll be rewarded with a view of the entire town and large parts of the mountain region from the top, so bring a picnic basket full of goodies, a blanket and a camera to greet the summer. 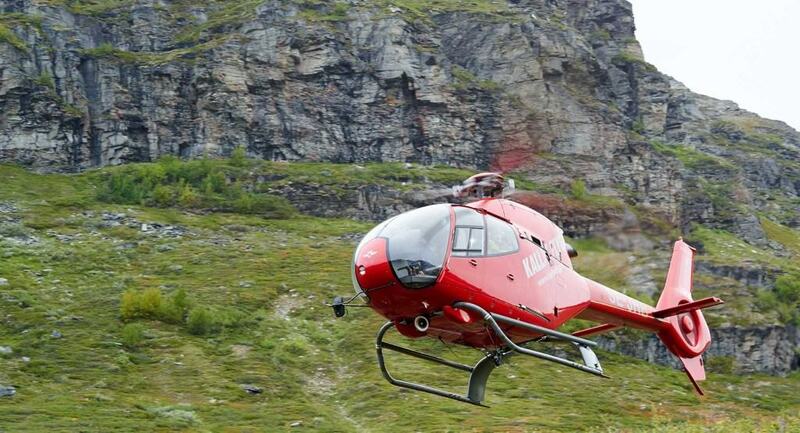 Bonus location: Aerial photos and helicopter tours in the TV series Midnight Sun are handled by Kallax Flyg, who have their satellite base in Kiruna – even if the helicopter company in the series is called Midnight Wings. They fly daily between Nikkaluokta and Kebnekaise during summer: don’t miss out on a breathtaking view of the mountains.